Wales is a beautiful, often untouched country. Raw and majestic, dramatic mountain ranges, rolling hills and breathtaking coastline. And, if you’ve ever heard Super Furry Animals or Gorky’s Zygotic Mynci, it can be downright weird too. From the bewitching fantasy village of Portmeirion—the hyperreal setting for cult ‘60s show, The Prisoner—to stirring abandoned castles, the world’s only baked bean museum, haunting Neolithic monuments and the ‘world bog-snorkelling championships’, there’s a satisfying air of oddness that pervades here. 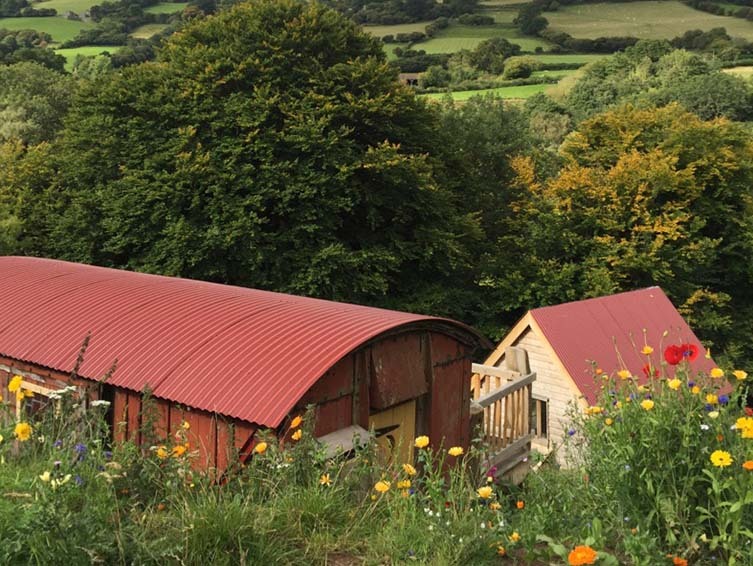 Wales has eccentricities galore, and it makes getaways here all the more likely to detach you from modern realities. 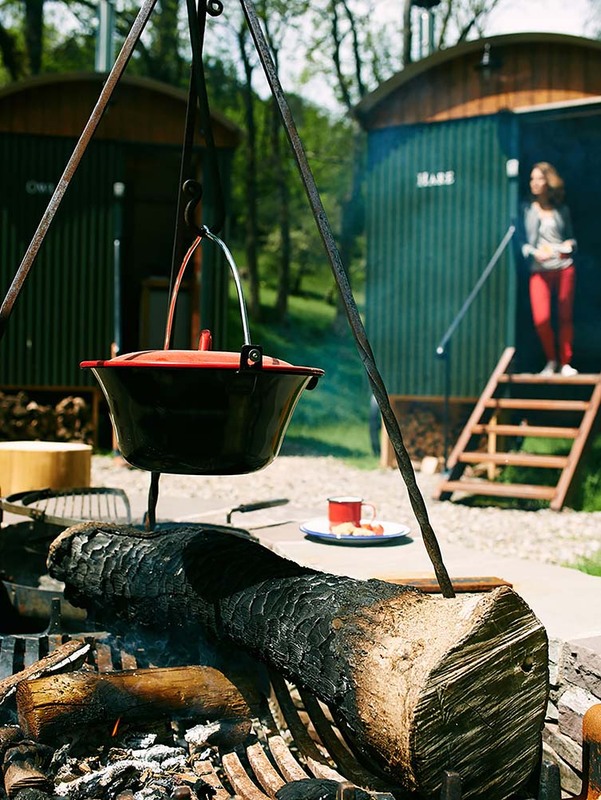 With world class outdoor activities, endless mountain hikes and humbling nature, those wanting to hit reset will find it all in Wales; and the Brecon Beacons national park is a sometimes overlooked treasure trove of scenery, slow-living, great food and great times that’s an even greater place to start. 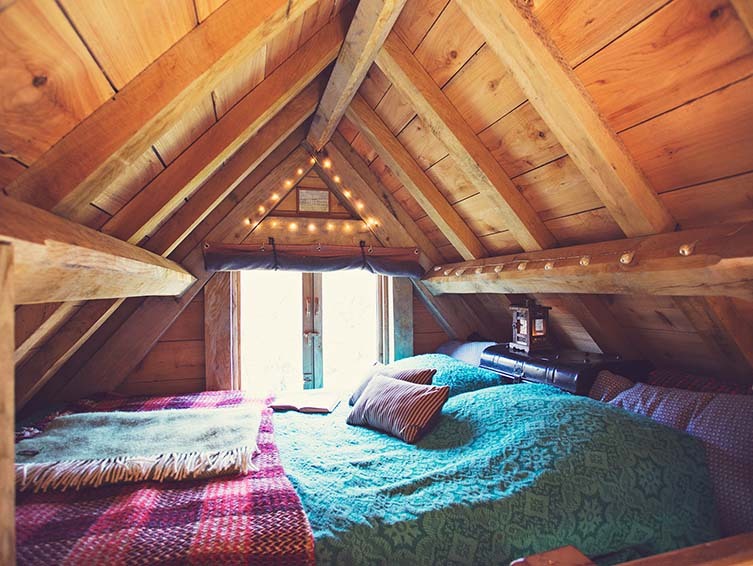 With one eye on the quirkiness that characterises the country, Sugar & Loaf seek out hideaways that tick all the boxes of differential. 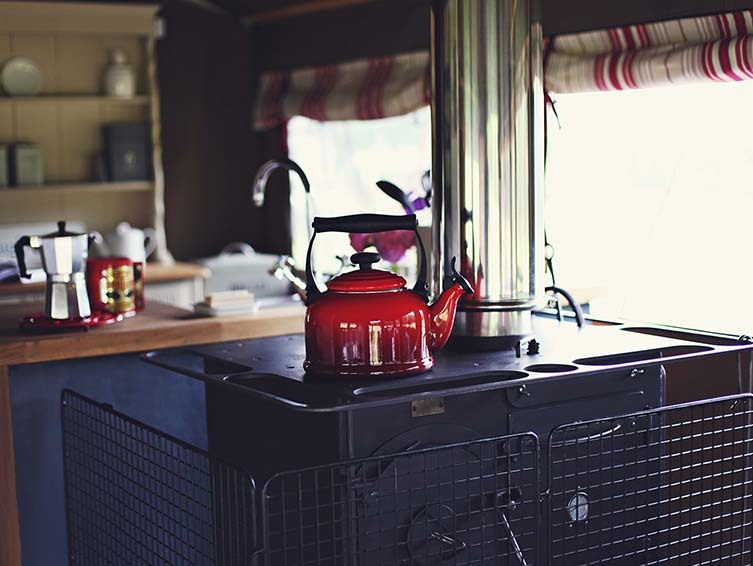 From huts in the hinterlands to 15th century whimsy, an out-of-place safari tent and an inspiring wooden shack, we’ve handpicked our ten most eclectic Brecon Beacons holiday stays from their deliciously diverse portfolio. 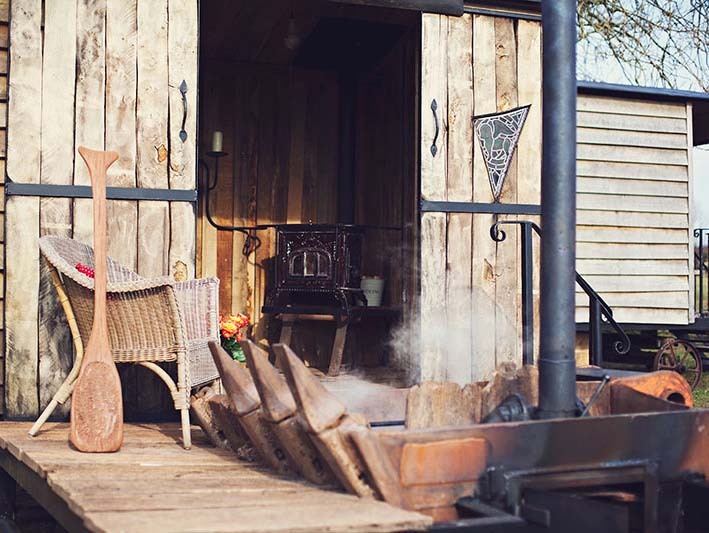 The Hot Tub Hideaway, Hay-on-Wye: a labour of love for owners Rickie and Gabbie, this hideaway is the result of 800 toiling hours of artisan craftsmanship—and turns up some surprising treats. 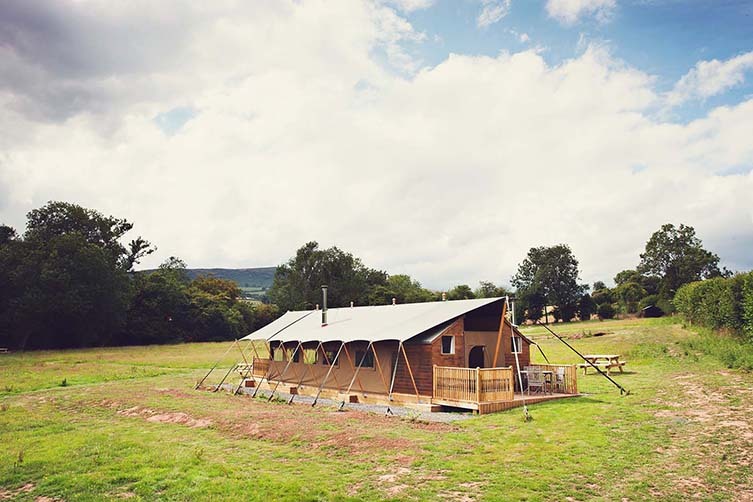 There’s a village pub within five minute walk and Abergavenny’s The Hardwick—which Michel Roux Jr has billed as his favourite Welsh restaurant—is nearby, but with an enormous fire pit that doubles as a BBQ, you won’t to leave your spectacular eco-friendly hut. 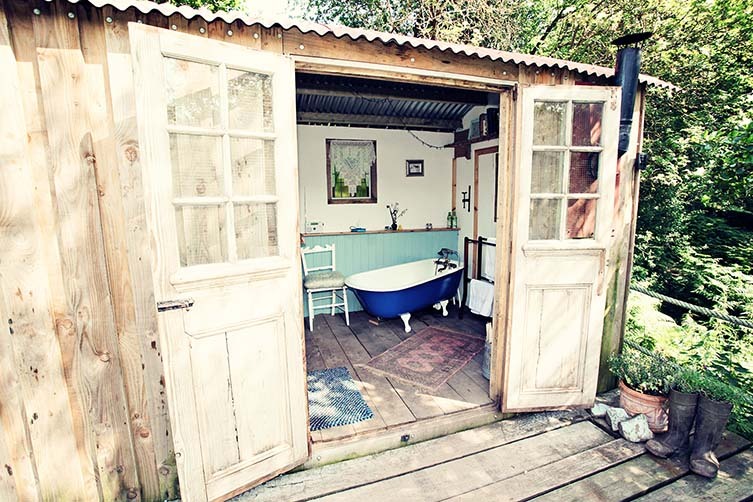 Top quirk: your ingenious wood-fired hot tub is made from two up-cycled digger buckets which means it should be able to give you a real pick-me-up at any time of the day. 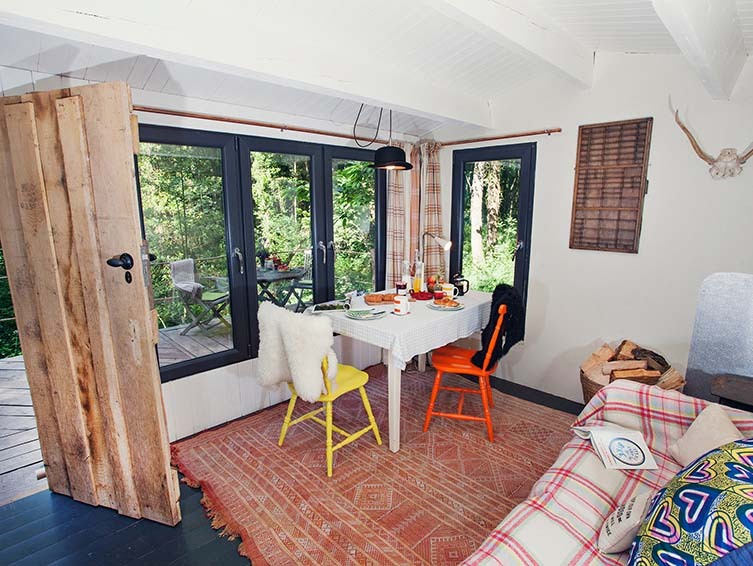 Hafan, Hay-on-Wye: just a few quick miles from the adorable market town of Hay-on-Wye, this cottage is surrounded by 580 acres of impressive National Trust hills—woods and streams and all the back-to-basics charm that this area is famous for on your doorstep. 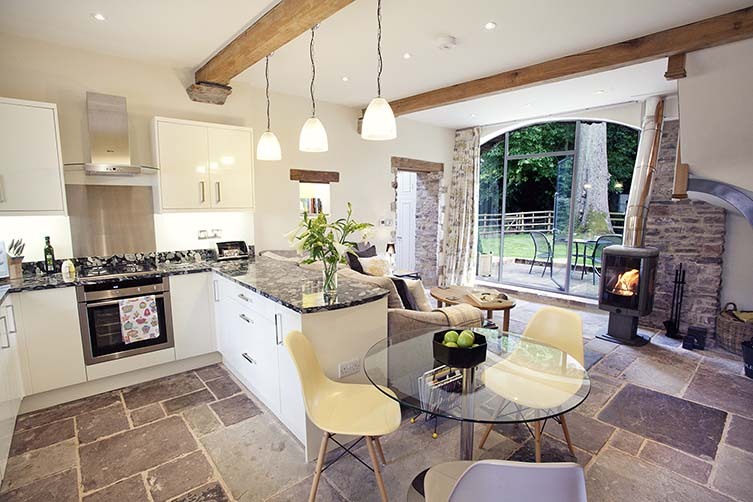 There’s a weighty ESSE stove, contemporary styling, and gastro-pubs nearby; whilst local butchers and bakeries should encourage you to knock up something from the blissful comfort of your own cottage. 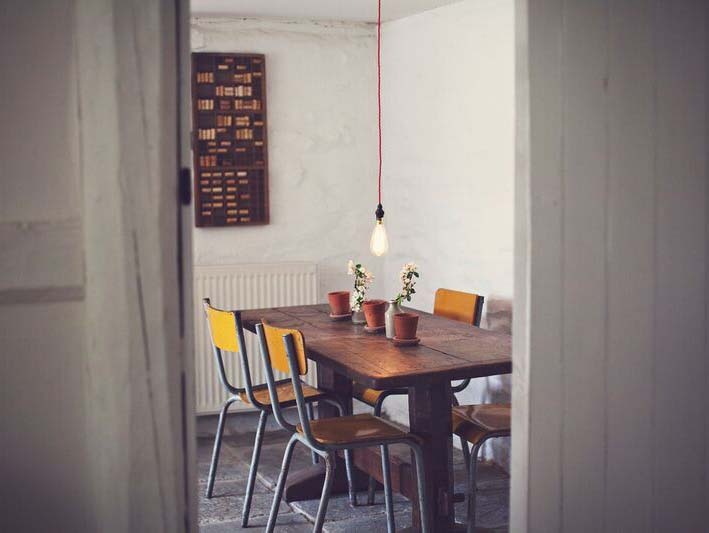 Top quirk: we adore the ramshackle third wave coffee shop vibes, this countryside cottage the perfect retreat for those who don’t know how to leave the style of the city behind. 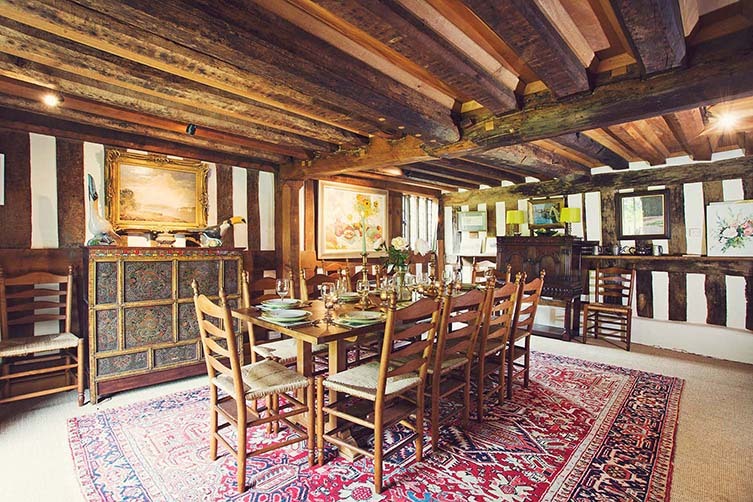 Beautiful Old Burfa, Old Radnor: sleeping up to 16, this expansive 15th century home on the border of England is like something out of a whimsical children’s novel. 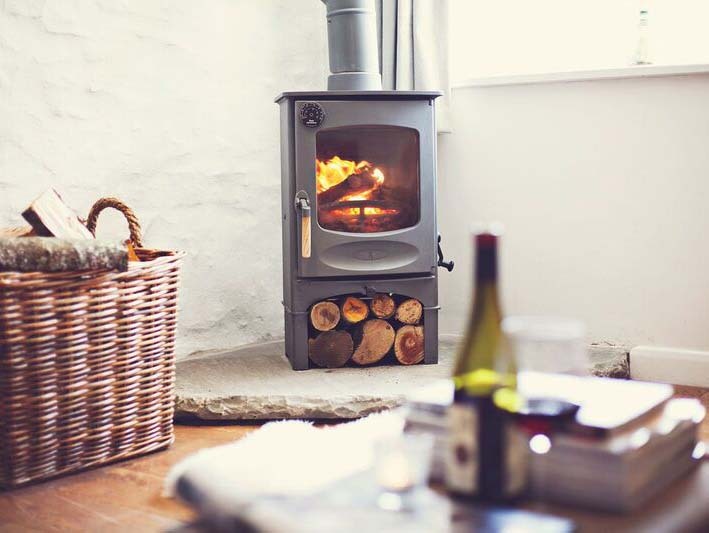 With log fires and impressive antiques, nooks and crannies and contemporary updates to ensure your comfort, Beautiful Old Burfa is surrounded by castles and culture. 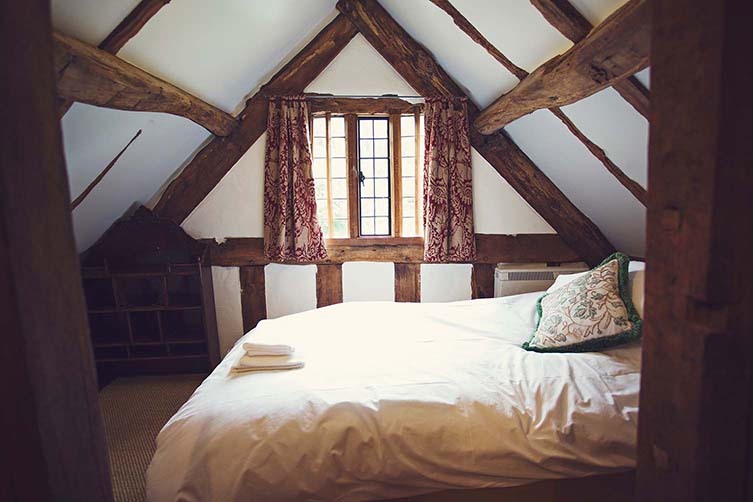 Its closest watering hole, Titley’s The Stagg Inn, has been awarded a Michelin star. 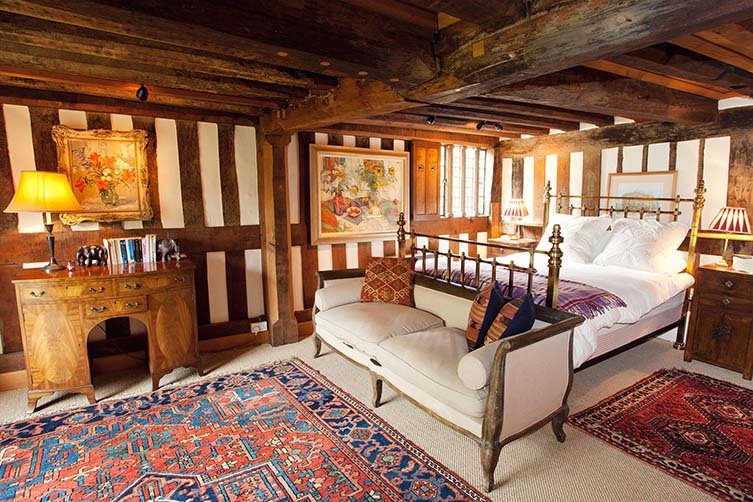 Top quirk: steeped in history, if only its beams could talk … creating a warren-like sense of intrigue, these weighty wooden struts and supports tell the tale of more than half a millennium. 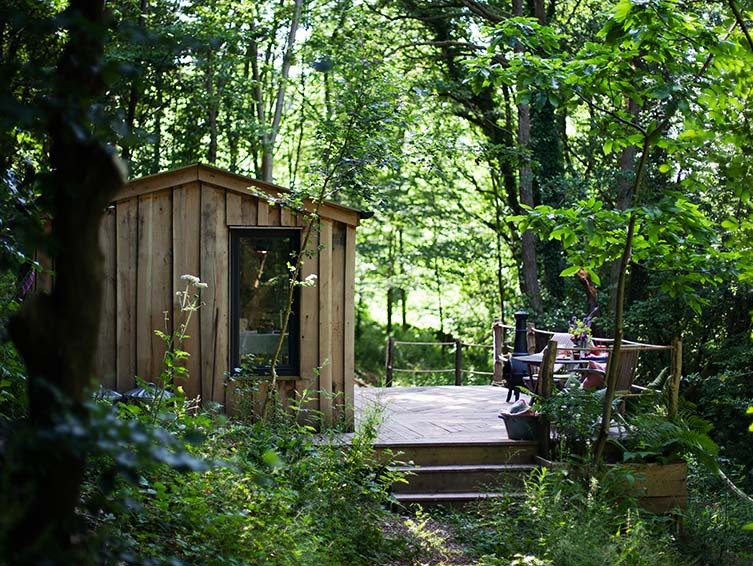 Wood Shack, Abergavenny: underneath a dense canopy of woodland, this shack might look like it’s in the middle of nowhere, but with Abergavenny—a pretty market town whose annual food festival is transforming it into somewhat of a foodie destination—just three miles away, this rugged retreat keeps you connected to the real world. For those romantics who have read the books, watched the films, but just can’t manage to go the whole hog. 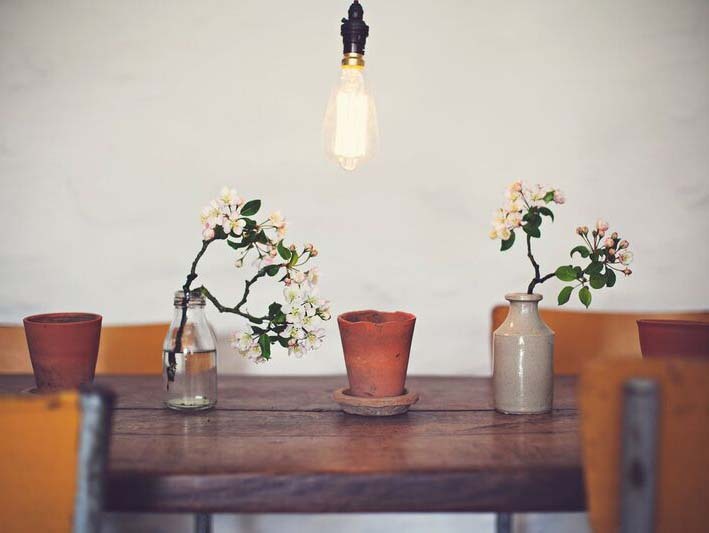 Top quirk: owner Rob is the journalist behind The Man Who Made Things Out of Trees, an inspirational book that tells his tale of discovery having cut down a native ash tree; and many of the things he produced along the way can be found here. 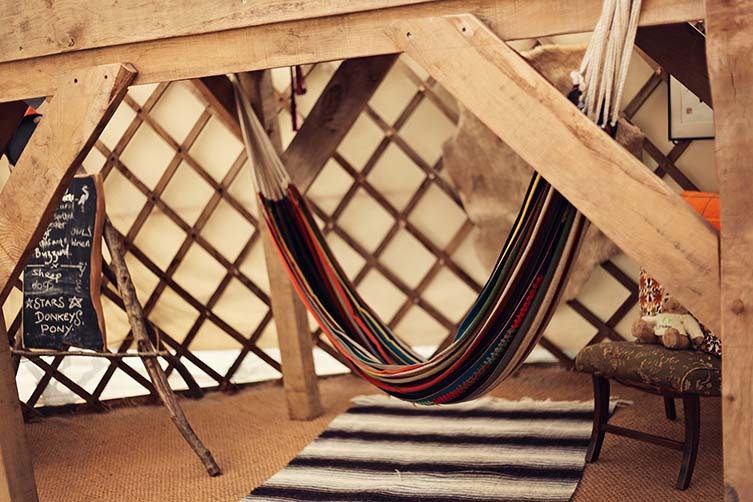 Great Escape Glamping, Hay-on-Wye: as its name suggests, this is the place to escape it all—these four huts all off-grid with power coming from wind and solar energy, a supply of fire wood on hand for cooking on a huge open fire pit surrounded by wooden stools; a beautifully crafted picnic table can bring the family together, and swings just behind the huts mean the kids can keep an eye on you cremating the meat. 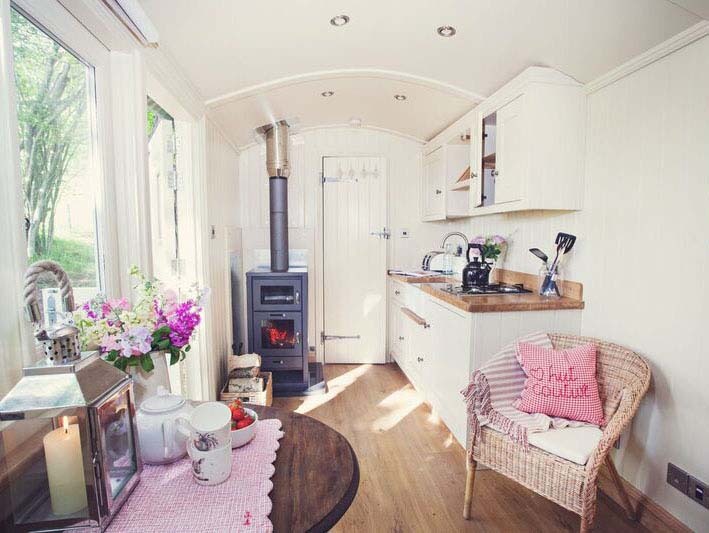 Top quirk: a fifth shepherds hut serves as a ‘utility’ hut complete with a proper stove, cooking equipment, and boasting a hot shower room. 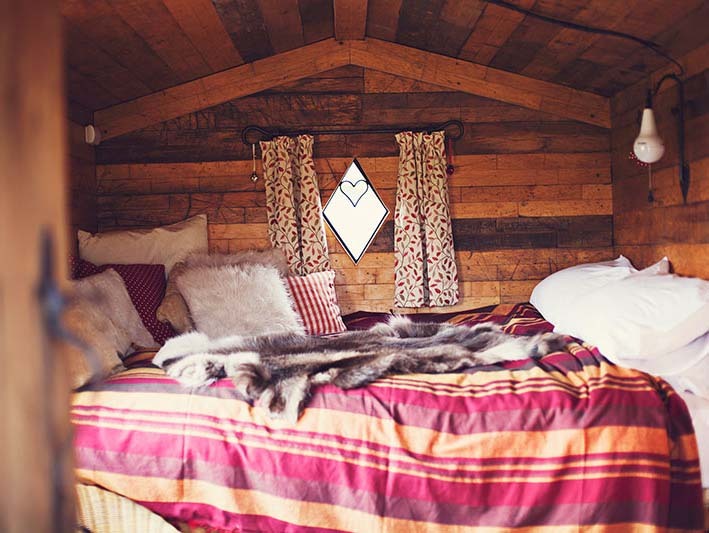 Ty Donkey, Crickhowell: say hello to pet donkeys Lily and Dida as you walk into this emotive nature escape. 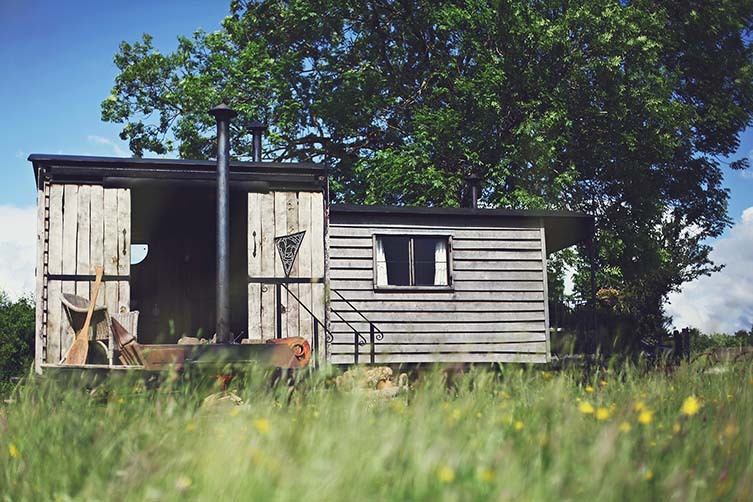 Occupying 50 acres with a fire pit and a converted railway cabin housing your kitchen and a free-standing bath, this cabin—hand-built from local oak—fires up all the romantic notions of getting away from absolutely everything, whilst its cosy interiors are high on Hygge. 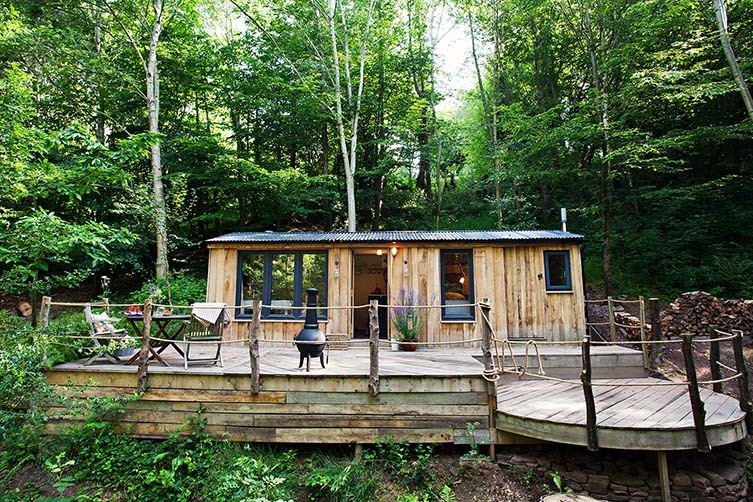 Top quirk: don’t forget to take your swimmers on this holiday, as a plunge pool in the river that flows by the property means you can make a splash with wild swimming and fishing; chopping logs to fire the stove completes the back-to-nature vibes. Skirrid Skies, Abergavenny: South American camelids famous for grazing the heights of the Andes, alpacas might be the last thing you’d expect to see when you pop your head out of a huge six-person safari tent under the shadow of Wales’s Skirrid Fawr mountain, but that’s exactly what you’ll find at this excellently odd retreat in the Monmouthshire countryside. 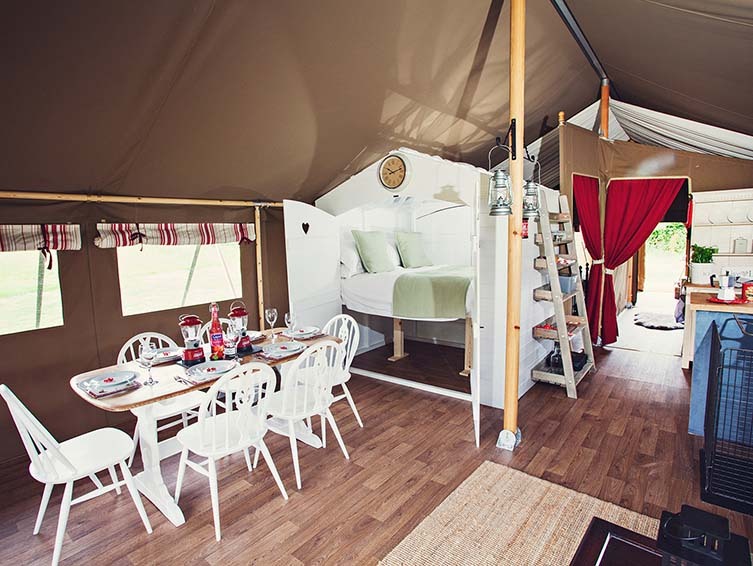 With all the mod cons, a large decked terrace, and bags of offbeat style, Shaun Hill’s Michelin-starred The Walnut Tree is some five minutes by car for those who want to pair their glamping with a side of genuine glamour. 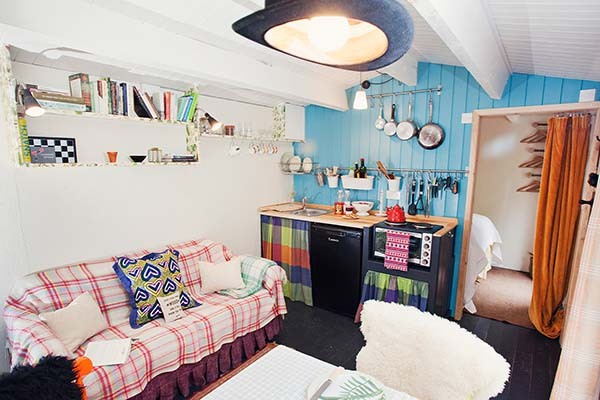 Top quirk: those wanting extra escapism can hole themselves up in the ‘bed in a shed’, a self-contained double room under the canvas. 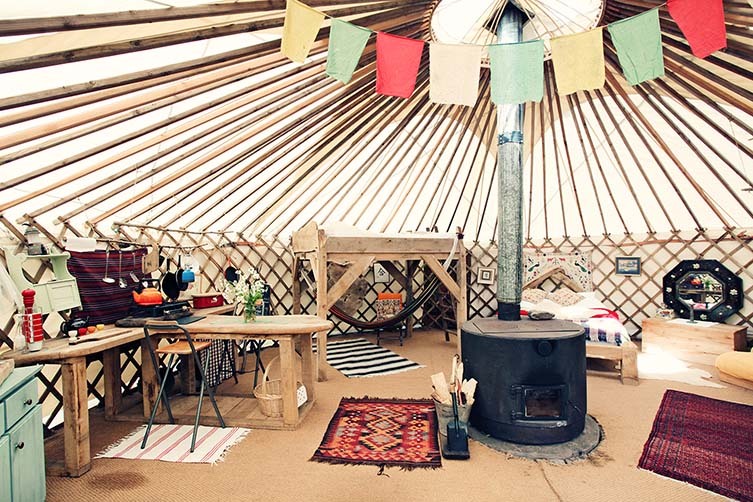 Black Mountains Yurt, Crickhowell: with the bunting hanging over its central wood burner, Aztec rugs, sheepskins, and sleepy hammock, this five-star yurt looks like the sort of thing Led Zeppelin would’ve kipped in during festivals of the 1970s. 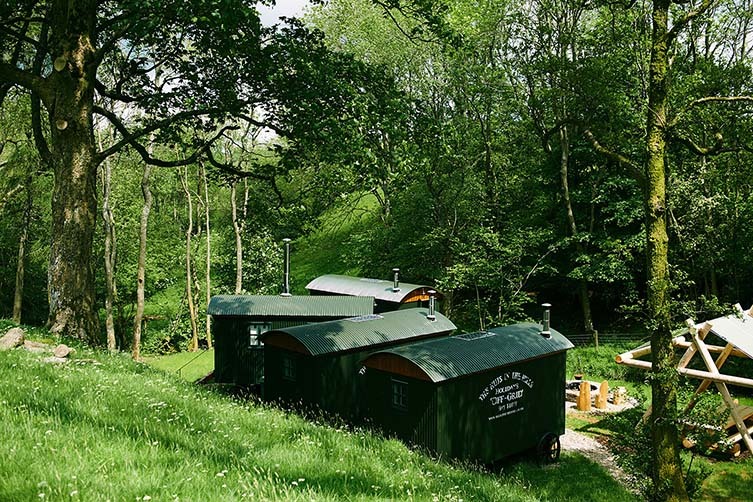 Off the beaten track, practically invisible from all other life, this hideaway in the Brecon Beacons national park is a magic spot for those seeking refuge from the wearing bustle of modern life. 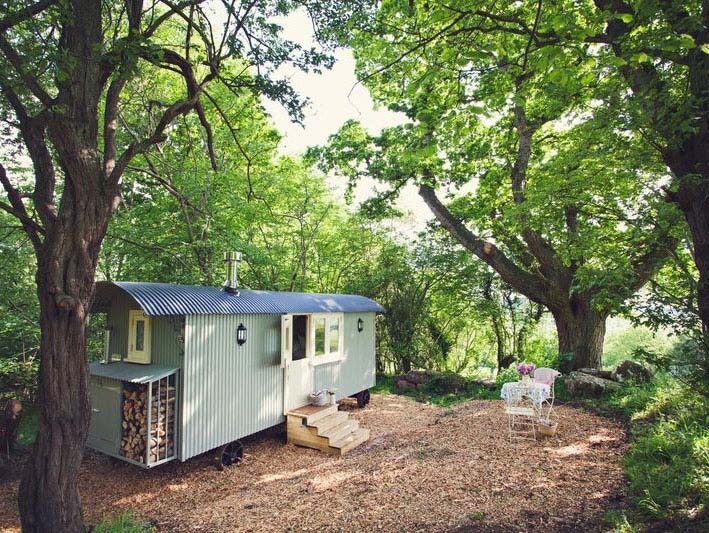 Top quirk: spend some precious me-time in a separate shepherd’s hut shrouded by trees—a kind of getaway of its own, the external bathing facilities come complete with a romantic claw-foot tub which you can sink into as you zone absolutely everything out. 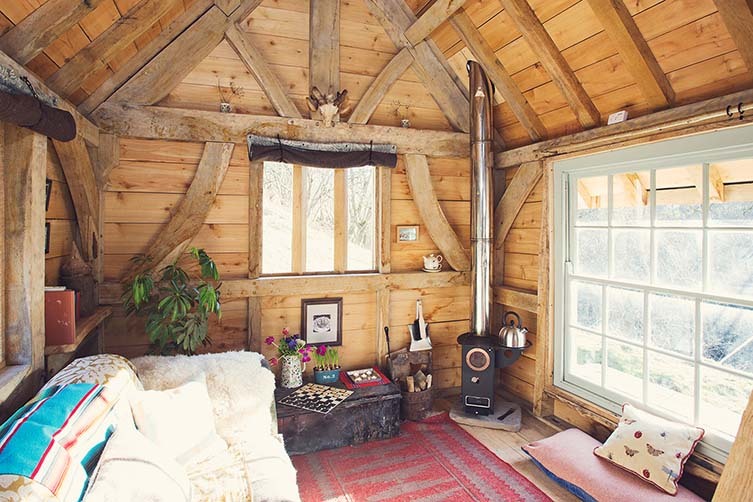 View of the Valley Hut, Monmouth: this sizeable shepherd’s hut overlooking the Usk Valley has bags of homely charm and a fairytale floor of bluebells come springtime. 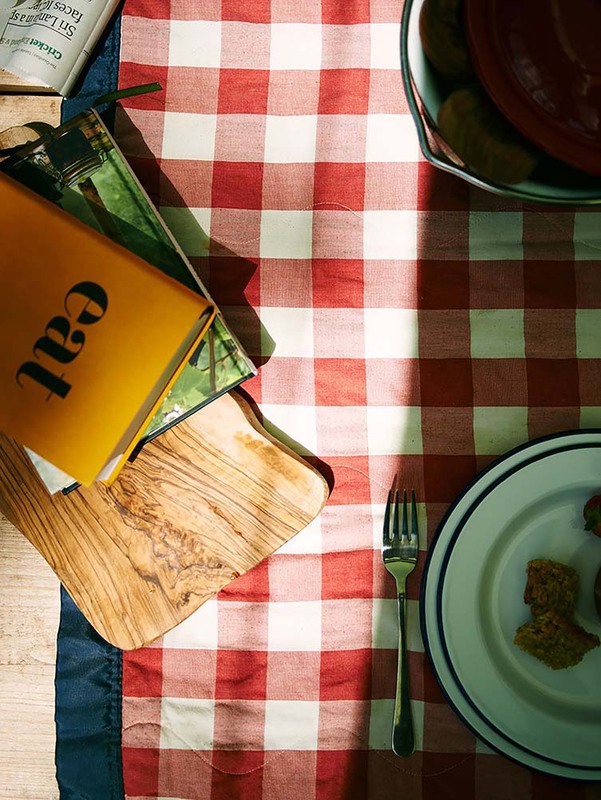 With quaint garden furniture and cute gingham print textiles, it’s the sort of gleeful getaway your mind could only conjure in its most content of states—a delightful treat that would raise a smile from even the most curmudgeonly. 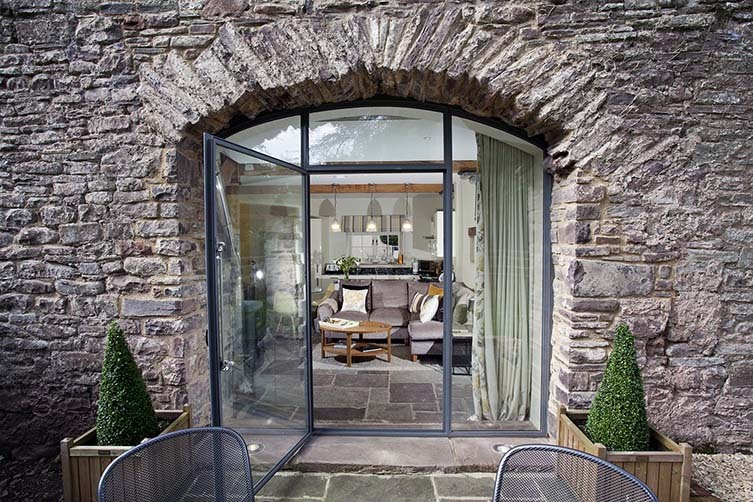 Top quirk: nearby Monmouth—with its farmers market and pop-up street food festivals—is home to Britain’s only medieval bridge with its defensive tower still intact. Built around 1270, it’s one of only three in Europe. 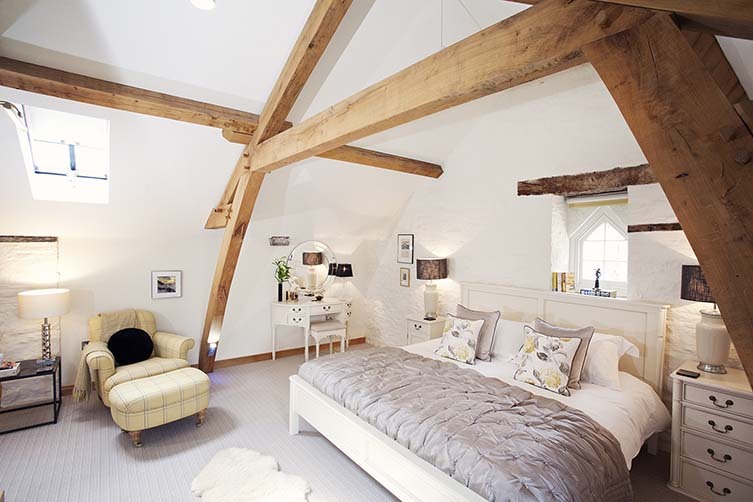 The Laundry, Brecon: for those wanting to experience the exhilaration of the Brecon Beacons’ raw beauty, to escape it all and reconnect with nature, but find it impossible to divorce yourself from luxuries … this luxe conversion of a property dating back to the 14th century has everything you could imagine and more besides. 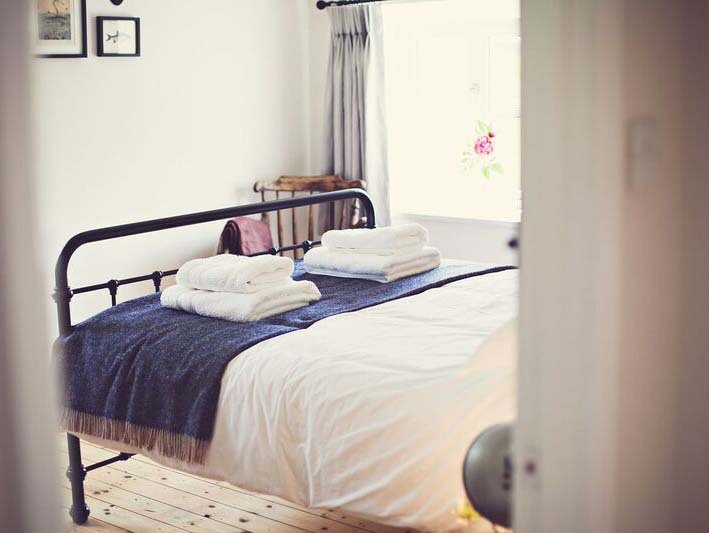 Top quirk: rolling into town each August, the Brecon Jazz Festival has hosted talent from Van Morrison to Amy Winehouse, Femi Kuti to Roy Ayres—a fringe festival brings the soothing sound to pubs, cafés, hotels, and cultural spaces around the town.